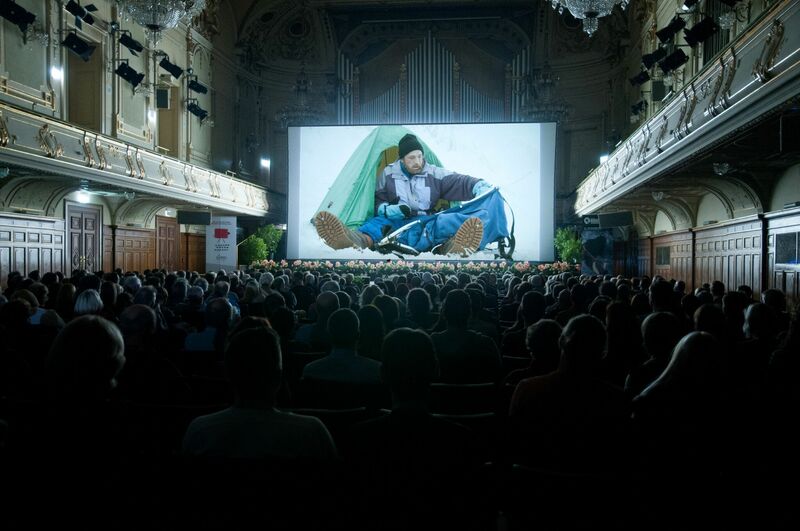 From 13 - 17 November 2018 the international film contest presents the best mountain and adventure films in the historic center of Graz. At the award ceremony, the winners of Mountainfilm Graz’s film contest will be announced. Festival director Robert Schauer guides through the evening and welcomes the winners of the „Grand Prix Graz“, the „Camera Alpine Austria“ and the „Camera Alpine in Gold“ of every festival category on stage. Right after the ceremony the „Long Night of Mountain Movies“ starts and all the winning films will be screened once more. Alexander Huber climbs in the steep spheres of the vertical world. UIAA 11 is a grade, that many sports climbers manage one pitch of the ground. Alexander masters this difficulty in alpine walls and moves solidly on remote rock faces all over the world – from the Arctic to the high mountains of Pakistan. In a mix of photographic images, film sequences and the right music to his live commentaries, he takes you away to accompany him on his journeys. He shows his nicest and most formative moments, that result from creativity, discipline, and determination, either in as a team or in bold solo adventures. Has entering the so called “Throne room of the mountain gods” become a tourist attraction nowadays? 40 Years ago first Austrian Expedition team conquered the summit of Mount Everest. Two members of the same team wrote alpine history: first ascent without supplementary oxygen. Changes of the style of climbing on the highest mountains evolved gradually. Not only the equipment, also the general character of the expeditions matched the new perceptions and the combined demands. A new commercial branch evolved, which moved Everest as a goal “closer” to the aspirants. Are technical possibilities able to equalize extreme weather conditions, cold, lack of oxygen and dangerous terrain? With the former leader Wolfgang Nairz, and other team members of the expedition will be a discussion together with mountain guide Rupert Hauer. He became a hero in 2013 when he rescued a snow-blind American climber and his Sherpa just below the summit of Everest. While rescuing the climber to safety he gave up his ascent, and also suffered serious frostbite. Against all odds and after this experience he reached the summit of Everest twice this year while guiding clients of a commercial “Speed expedition”.